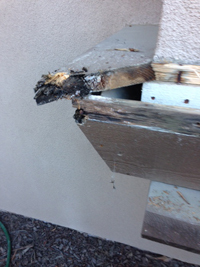 Pests and dry rot can do a lot of damage to your home or other structure. It’s great to know that LD Termite can not only rid your house of damaging termites and other pests, but can also expertly repair the damage those pests left behind. See the Before and After pictures below. 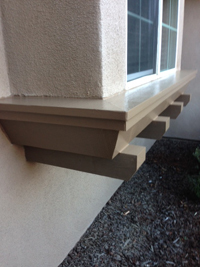 You will be astounded at the difference LD Termite’s structural repair experts can make to your home. It will look like new again! 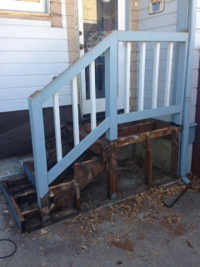 Before — Extensive dry rot made these wooden steps and railing dangerous and unsightly. After–From the Side. 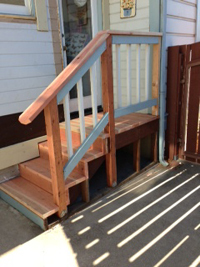 The railing was repaired and the damaged wood replaced. No more worries about someone grabbing the rail and having it give way! After–From the Front. 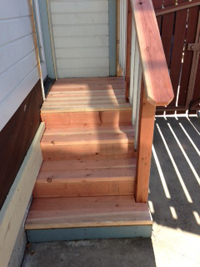 The wooden steps have been expertly replaced. The railing was repaired and the whole thing looks as good as new! 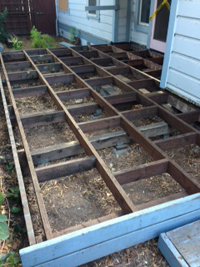 Before–A heavily damaged wooden deck. The joists have rotted away, causing hazardous conditions. 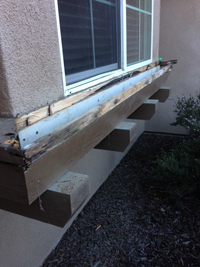 Before–This wooden window ledge has completed rotted through. 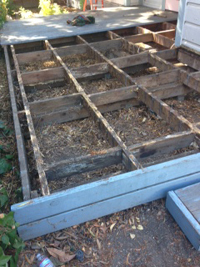 After #1 — The rotted wood is removed and the ledge is reinforced. After–From the Side. The wood has been replaced and the exterior has been painted. Looks good as new! After–From the Front. 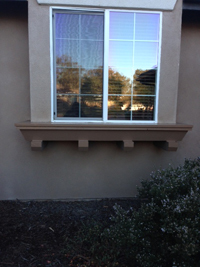 You would never know that the window ledge originally had extensive damage.